Nightmare Troubadour was released in August 2005 (NA) on the Nintendo DS, early on in its lifespan. It made use of the platform's touch screen functionality. For those who do not know, a "troubadour" is a poetic singer from the Middle Ages that traveled around place to place to recite their poems. And the game has a nice cover..
LIGHT Spellcaster-type LV4 Effect-Monster. 1000 ATK ; 1000 DEF. When your opponent draws a card, this card gains a spell counter. It gets 500 ATK for each Spellcaster. You can send it to the graveyard with 5 Spell Counters on it to Summon Silent Magician LV8. LIGHT Spellcaster-type LV8 Effect-Monster. 3500 ATK ; 1000 DEF. 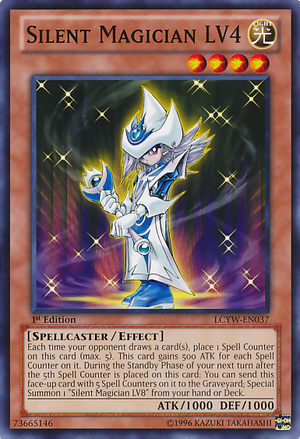 Needs to be Special Summoned by the effect of Silent Magician LV4. It is unaffected by your opponent's Spell cards. Activate when a Spellcaster-type monster attacks. 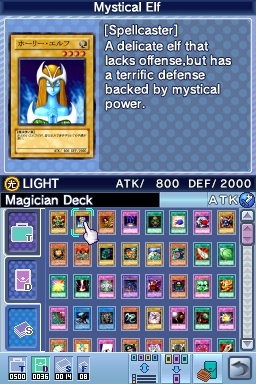 Both players can summon a <2000 ATK Spellcaster-type monster from their deck in Attack Position. Despite the advent of Yugioh GX, Konami returned back to the story of the original series for this game. Its loosely based on the narratives of the Duelist Kingdom, Battle City and Noah's Virtual World seasons, where you play as a peripheral character. After each duel, you get points and you use them to buy packs. You can also use the card password machine but there are some restrictions to prevent you from abusing it. The game also has a tutorial mode and mind-racking win-the-game-in-one-turn puzzles. 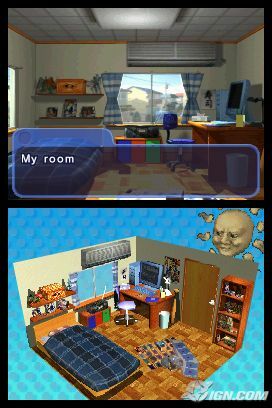 The technology of the DS set this game apart. Monsters appear on the field in full 3D, even if the resolution is a little blurry. Much like Worldwide Edition for the GBA, you are competing in a tournament and you are searching for opponents. But you use the stylus pen and touch pad as a radar to search for them. This is a pretty cool addition. That, and you can manage the cards in your trunk with the touch controls too. The card pool in this game is large but in some sense is limited. It contains just enough cards so that all the characters you face can have the complete decks they need though you will find that there are some omissions to the card pool, purely for the fact that none of your enemies use them (perhaps to cut back on animation?). It's a relatively minor complaint though. From the perspective of 2014, this game is dated in some ways. No online, of course. But it's a good choice for those who want to appreciate the technology of the DS in its debut and revel in the nostalgia of 2005. "The good old days".